George Oldham was born in Beeston, Notts in 18902, the fourth of seven surviving children, of Thomas Henry (b. c1861, Beeston) and Jane (b. c1863, Broadway, Somerset, née Kitch). In 1901 the family, including the eldest six children, was living at 24 City Road, Beeston with Thomas working as a cycle painter, probably at the Humber factory. George was then ten years old and not yet working3. By 1911, they had moved to 5 Regent Street, Beeston with Thomas working as a bricklayer and George, now 21, working as a curtain lace threader4. In 1914, George married Alice Warren, the daughter of John, a collier and his wife Jane of Kimberley, Notts5. Alice was one of at least nine children born to John and Jane and, after Jane died in 1896, John remarried and had a further four children with his new wife Mary. It is not clear how George and Alice had met but, in 1911, Alice had been working in domestic service in Nottingham6. Their only child, George Leslie Oldham, was born in August 19167. As a married man, it is perhaps understandable that George was not amongst those who enlisted so enthusiastically in the early months of the war. By 1916, however, the number of men volunteering for service was diminishing and was not meeting the relentless demand from the Western Front and the Government was looking for ways to fill the gap. The Derby Scheme, which introduced canvassing for volunteers had still not persuaded the required numbers and the Military Service Act was now enacted which meant that all single men aged between 18 and 41 (with some exceptions) would be automatically conscripted. Although this was not extended to married men until May 1916, George enlisted in March 1916 and initially joined the North Staffordshire Regiment for training8. The timing was particularly poignant, with the birth of their first child only five months away. At some point, possibly in the early part of 1917, probably when he was sent to France, George was transferred to 2nd Battalion Lancashire Fusiliers. The battalion had been on the Western Front since the early weeks of the war and was to remain there until the end. It had been involved in all the early battles during 1914 and 1915, as part of 12th Brigade in the 4th Division - and even took part in the Christmas Truce in December 1914. By 1916, now part of 36th Division, 12th Brigade fought in the Ypres battles9. In 1917, the battalion - probably now including Private Oldham - saw action during the Battles of the Scarpe and experienced the horrors of the various phases of the Third Battle of Ypres (widely known as 'Passchendaele'). During March 1918, the battalion was near Fampoux, east of Arras, in support of the line. A major attack by the enemy had been expected for some time as enemy positions had been strangely quite and the early days of the month had been spent in training. Then, on 21st March, the German Army launched its Spring Offensive from the Hindenburg Line with the objective of ending the war before American troops and resources could tilt the balance towards the Allies. The objective was to smash through the Allied lines, push the British forces into the sea and to cut off their supply lines by seizing the ports. On this first day the enemy had attacked heavily after an intense bombardment and those facing their attack had suffered heavy losses and had been forced to fall back when the line was pieced. 2nd Battalion had been in reserve at the start of these attacks but was moved into support positions and, on 28th, was in the line when a very heavy enemy bombardment opened up at 3am and continued until 7am. In the subsequent large-scale enemy attack the front line held out until it was practically wiped out. Overall, various units of the battalion fought bravely, suffering very heavy casualties. By around noon, the enemy had been stopped on the British support lines and had itself suffered heavy casualties. During that tragic day the battalion suffered casualties totaling 10 officers and 223 other ranks10. This included 120 missing of which, sadly, Private Oldham was one. 10. Having no known grave, Private Oldham is remembered on the Arras Memorial in the Faubourg-d’Amiens Cemetery which is in the Boulevard du General de Gaulle in the western part of the town of Arras. The cemetery is near the Citadel, approximately 2 kilometres west of the railway station. The Faubourg-d’Amiens Cemetery was begun in March 1916. It continued to be in use by field ambulances and fighting units until November 1918. After the Armistice the cemetery was enlarged when graves were brought in from the surrounding battlefields and from two smaller cemeteries in the vicinity. The cemetery contains 2,651 burials from the First World War. The Arras Memorial commemorates almost 35,000 soldiers from the United Kingdom, South Africa and New Zealand who died in the Arras sector between the spring of 1916 and 7th August 1918 and have no known grave. 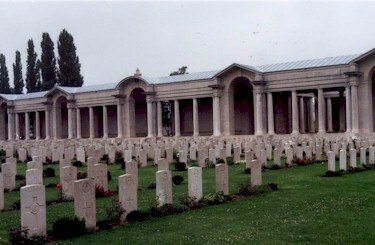 The most conspicuous events of this period were the Arras offensive of April-May 1917, and the German attack in the spring of 1918.The cemetery also contains the Flying Services Memorial which commemorates nearly 1,000 airmen of the Royal Naval Air Service, the Royal Flying Corps, and the Royal Air Force, either by attachment from other arms of the forces of the Commonwealth or by original enlistment, who were killed on the whole Western Front and who have no known grave11. George's youngest brother, Albert Oldham was killed in action on 30 September 1918 while serving with the 15th Battalion, Sherwood Foresters. Private Oldham was posthumously awarded the British War Medal and the Victory Medal12. His Army financial effects of £5 6 6d, were paid to his widow on 9 July 1918 and she also received his War Gratuity of £8 10s on 5 December 191913. Now it remained for Alice to try to pick up her life and try to make a future for herself and their son without the support of her husband. Happily, it seems, she was able to rely on the support of the Oldham family and was able to make a home next door to them at 3 Regent Street, Beeston15. Then, in 1924, she met Hywel Hedd Moore Parry (known as Henry), a recent widower16. On 27 September 1924, they were married at Basford Register Office and Alice and her son George moved to 89 Wollaton Road to continue her life with Henry and his two sons, Thomas Charles and William Frederick Parry. And, a wider family network developed in Beeston, too. William Frederick Parry, who worked as a joiner, married Ivy Oldham, George's youngest sibling, in 1926 and the couple set up home at 2a Derby Street, Beeston. By 1911, Henry's first wife's parents, William Charles & Fanny Bristow, and three unmarried daughters had moved to 5 Park Street, Beeston. William died in 1925 but, by 1930, Fanny's grandson, Thomas Charles Parry was staying with her. Thomas Parry later moved to Norfolk where he married in 1938 and from where he worked as an engineer and manager of a greyhound racing totalisator operation17. By 1939, Henry & Alice had moved to 8 Wollaton Crescent, Beeston where they lived out their lives - Henry died in 1955, aged 72 and Alice in 1974, aged 84. Similarly by 1939, Fanny Bristow and her daughter Letitia had moved to 16 Dennis Avenue, Beeston. Fanny died in 1940 and Letitia in 1970. Also in 1939, George Leslie Oldham married Florence N Lester and they set up home at 20 Sidney Road, Beeston with George working as a carpenter and joiner18. 2His birth was registered in Basford Registration District (of which Beeston was part) in Q2/1890(Ref 7b 175). Another child did not survive infancy. Ivy, born in 1907, completed the family. 5They were married in Q3/1914 in Basford Registration District (of which Beeston was part). Alice was born in Kimberley, Notts on 3 August 1889. 6In 1911 she was working as a housemaid with the family of John Wrightman, a lace manufacturer, living at 62 Mapperley Road, Nottingham (1911 Census, Piece 20561 RD430 SD3 ED21 Schedule 164). 7George Leslie Oldham was born on 5 August 1916, probably at Beeston, Notts. His birth was registered in Basford Registration District (of which Beeston was part) in Q3/1916 (Ref 7b 493). 8As his Army Service Record has not survived, his attestation date has been calculated based on the amount of his War Gratuity. His early attachment to the North Staffordshire Regiment (as No. 44694) is from his entry in 'Soldiers Died in the Great War'. 9This outline of the deployment of 2nd Battalion Lancashire Fusiliers is based on that on the Forces War Records website (www.forces-war-records.co.uk/units/267/lancashire-fusiliers). 10This brief description of the battle (part of the First Battle of Arras) is based on the battalion's war diary (available at ancestry.com). 12Details from Sydney's Medal Card and the Medal Rolls - available on ancestry.com. 13Details from "Army Register of Soldiers' Effects, 1901-1929" - available on ancestry.com. Two sisters appear to have been omitted from the distribution. 15Alice was living at this address in 1921 (Electoral Roll). It is quite possible that she and George had lived there during their married life. 16Harry's first wife, Sarah Ann (née Bristow) died, aged 39, in Q3/1923, probably in Beeston. Her death was registered in Basford Registration District, of which Beeston was part (Ref 7b 169). .
17It is an unproven possibility that this unusual occupation arose from the Ericsson Telephone Company's involvement in totalisator development and manufacture in the inter-war period. 18All otherwise unannotated details are from standard genealogy sources, including the Registration of September 1939 (on findmypast.co.uk) and the 1930 Electoral Roll for Beeston.